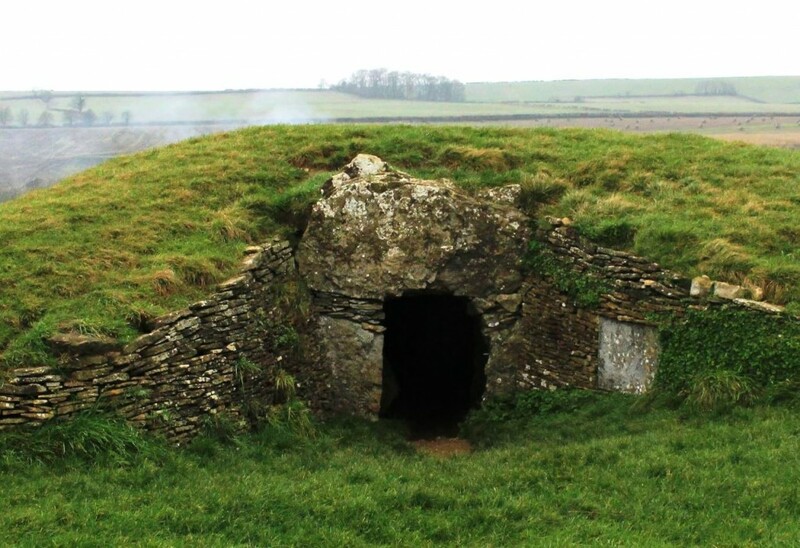 I visited Stoney Littleton Long Barrow near the village of Wellow in Somerset for the first time on a leaden-skied Sunday afternoon on 13th December 2015 and described that visit in some detail here. 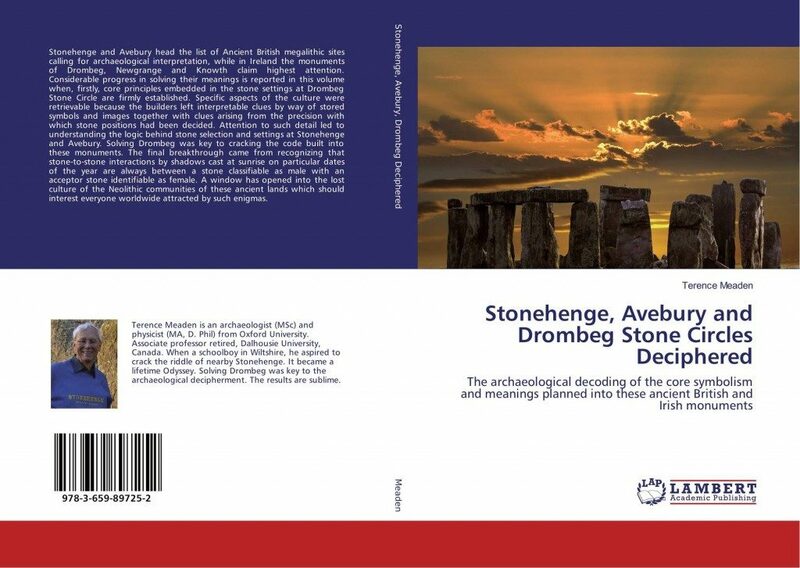 In chapter 2 on pages 25 and 26 of his recently published book ‘Stonehenge, Avebury and Drombeg Stone Circles Deciphered‘, professor Terence Meaden describes the alignment of the long barrow to the southeastern sun rising in the sky on midwinter’s day. He has kindly provided an additional photograph and diagrams below to further illustrate the explanation. The above book argues that a simple method of tally stick counting was sufficient to keep note of the days during the passing year, one of the oldest methods of proto-writing, dating from at least the last Ice Age. It would have been a practical and simple method to prepare a notched tally stick for use as a day counting calendar. ‘This does not mean that the planners counted out day numbers arithmetically. This is because making marks along a tally stick or on a long bone does not require the counting of numbers. It is only necessary to make marks daily during the first year of 365 days, and in subsequent years to move a peg daily along the stick or bone until specific points of importance are reached that had previously been marked with chalk or ochre or tagged by string. People first determined specific dates (viz Day 1 and Day 183) and sunrise positions or azimuths for the solstices, but for the other festival dates the year was subdivided by a day counting method. What specifically mattered were the solstices (Days 1 and 183) together with the six days numbered 47, 92, 137, 229, 274 and 320. These provide the eight agricultural festival dates for the community, each separated from the next by either 45 or 46 days. 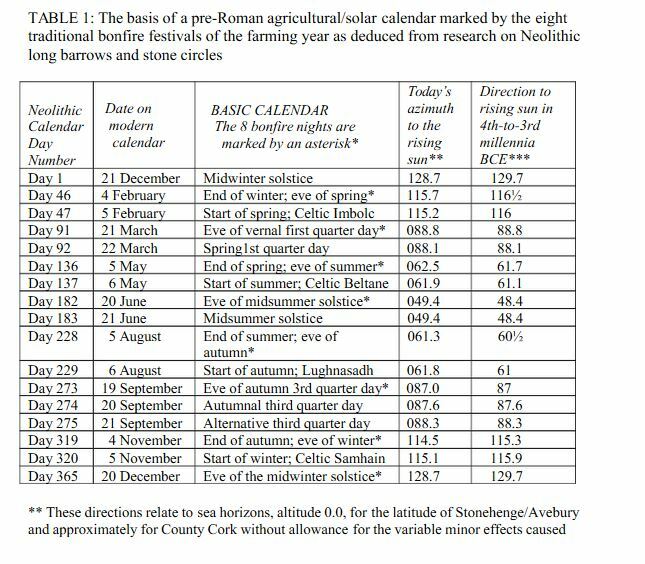 Table 1 below illustrates the basis of a pre-Roman agricultural/solar calendar marked from the eight traditional bonfire festivals of the farming year as deduced by Mr. Meaden’s lifetime research on Neolithic long barrows and stone circles, and is kindly reproduced from page 22 of the above book. 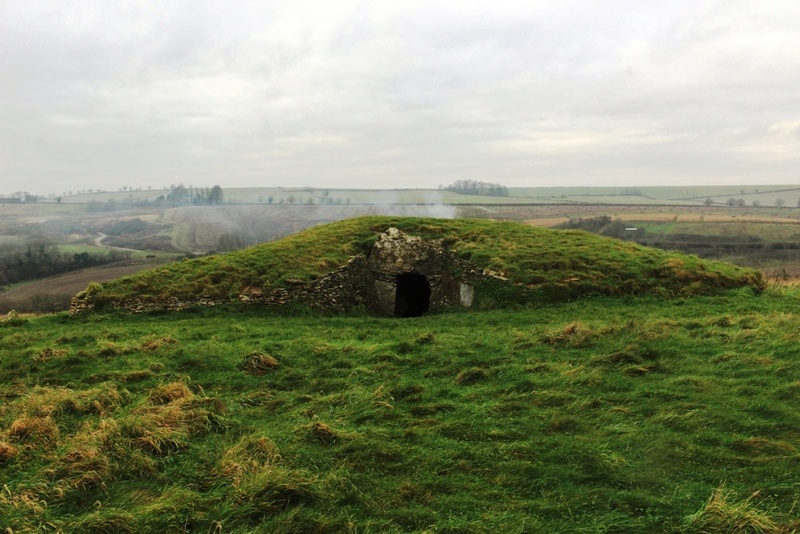 The presence of hills delays sunrises, but this does not matter when the programme has been planned into the construction and megaliths or long barrows set up using a day count. By this means the same day numbers work countrywide — across Ireland, England, Wales and Scotland — despite hills on the horizon being different at each stone circle or at each long barrow. 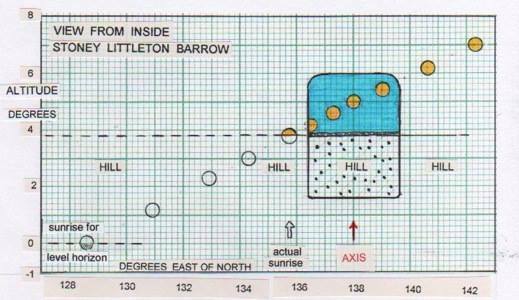 Below: The long barrow at Stoney Littleton is on a steep hill facing upwards. 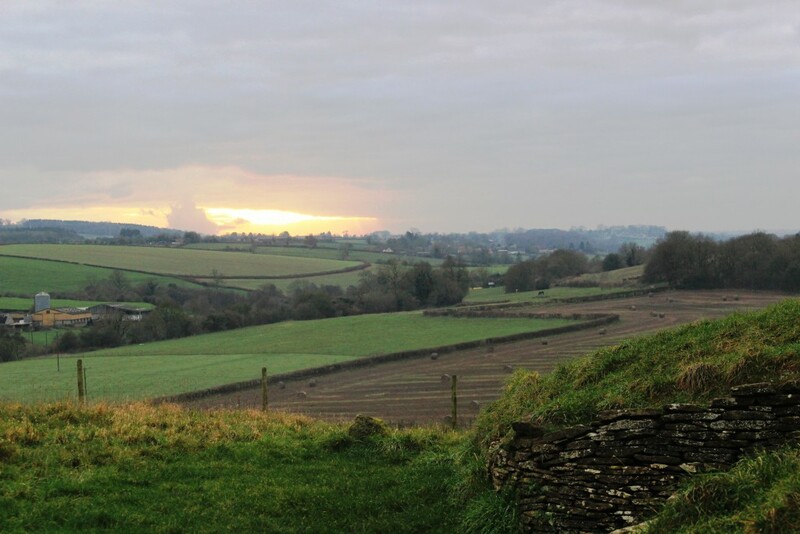 This view is from the inside of the the barrow looking uphill while watching the rising sun coming into sight in the southeastern sky on midwinter’s day. 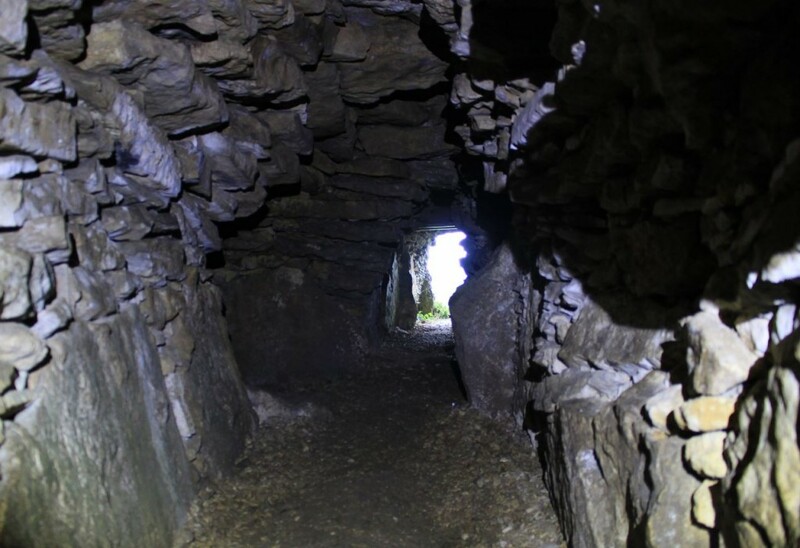 Below: The illumination of the inner passageway, where there is a deep, naturally-cupped depression that is illuminated only at the winter solstice sunrise. 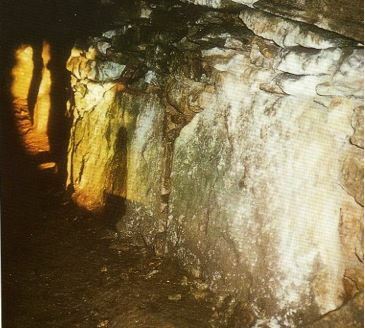 Below: A photograph kindly provided by Mr. Meaden (who can be seen towards the back of the long barrow), taken at the winter solstice illumination of the inner passageway in 1988. Winter solstice illumination of the inner passageway. Below: Sunshine streams along the gallery and the shape of the opening appears on the end wall. 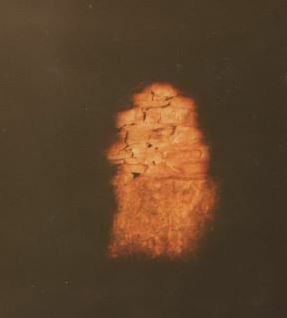 Below: The patch of light moves to the right as time passes, and illuminates the side of the gallery, including the natural hollow in the stone at point Z in the plan. Thank you to Professor Meaden for permission to quote directly from his recently published book to illustrate this article and for additional information provided. This alignment is also explained in his earlier publication Stonehenge: The Secret of the Solstice, 1997, pages 34-36. 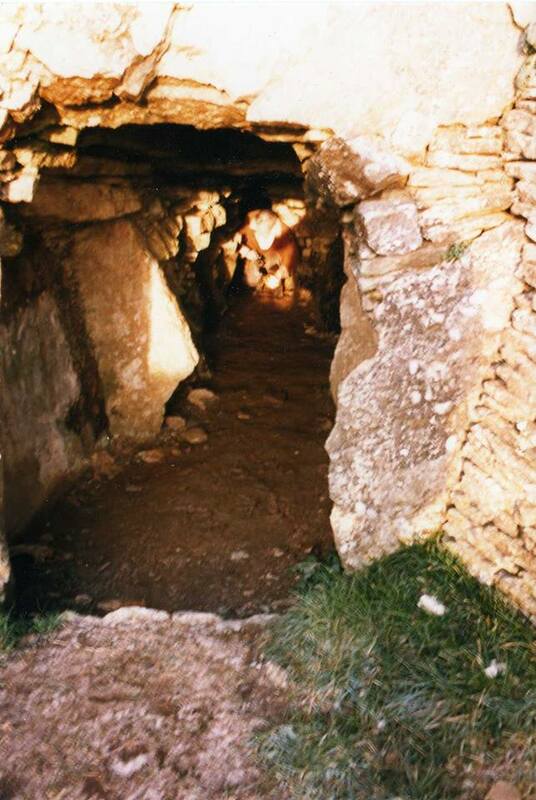 Below: From inside Stoney Littleton Long Barrow looking towards the entrance.